As if taking care of a newborn is not hard enough already, you wake up and discover your eyes are looking a little strange. You may be panicking and wondering if you have pink eye and what to do about it. You may have even started to wonder if pink eye, breastfeeding and taking care of your little one is even possible. Fortunately, if you do have pink eye, you can rest assured that it is not serious and will not last forever. It will be uncomfortable and cause some issues to your routine for a few days, but you will survive – as so will your baby! Pink eye is also known as conjunctivitis. According to WebMD, conjunctivitis is “is an inflammation of the conjunctiva. The conjunctiva is the thin clear tissue that lies over the white part of the eye and lines the inside of the eyelid.” If it is viral conjunctivitis it is very contagious and spreads easily. Symptoms typically include more tears or watery eyes, a redness in the eye (this is where we get pinkeye from), a discharge from the eye that may be crusty, itchy eyes, and/or burning eyes. When someone has pinkeye, you can generally see it. Plus, the individual will experience discomfort. There are three different types of pink eye: viral, bacterial or allergic reactions. Viral conjunctivitis is what we most commonly know as pink eye. It is very contagious because it is viral and spreads easily from person to person. Fortunately, it tends to go away within a week without treatment. Bacterial conjunctivitis is spread by bacteria is occurs less often than the viral form. This type may be treated with antibiotic eye drops prescribed by a doctor in order to go away. Finally, sometimes conjunctivitis occurs as a result of allergens. In these causes, allergens cause the eyes to redden and become itchy. This may be treated with antihistamines. While conjunctivitis caused by bacteria may be treated with antibiotics and conjunctivitis caused by allergens may be treated with antihistamines, the most common viral form is not able to be treated with medications. Instead, if you have viral pinkeye, you will need to wait it out for about a week. While you have pinkeye, you should avoid close contact with others. You should also make sure you wash your hands frequently and avoid touching your eye. In addition, you should not reuse contacts or makeup. Is It Safe to Breastfeed with Pinkeye? When you hear that those with viral pinkeye should avoid close proximity with others, you are probably feeling concerned. Is it safe to continue breastfeeding your baby? The short answer is yes. You should make sure you take special care to wash your hands as often as possible. While pinkeye may spread to your baby, it is not spread through breast milk. In fact, breast milk helps your baby’s immunity. However, while viral pink eye is not serious for adults, it can be serious for newborns causing long term vision problems. If it appears your pinkeye has spread to your newborn, you need to contact your pediatrician as soon as possible. Can Breast Milk Treat Pinkeye? Another reason many moms do not panic when they have pink eye and are breastfeeding is because breast milk has been considered a treatment option for conjunctivitis. While it has yet to be officially proven, there are those who claim using breastmilk in infected eyes has brought healing. This is because the power of colostrum and immunoglobulin A which create powerful antibodies against infections. While this may help with bacterial conjunctivitis, it may not work for the more popular form of viral pink eye. Sometimes babies also suffer from blocked tear ducts, and breast milk is a way to treat it. What Else is Breast Milk Good For? In addition to feeding and providing nutrition and antibodies for your baby, breast milk is good for many other things. For example, moms have used breast milk to treat ear infections, diaper rash, and baby acne. 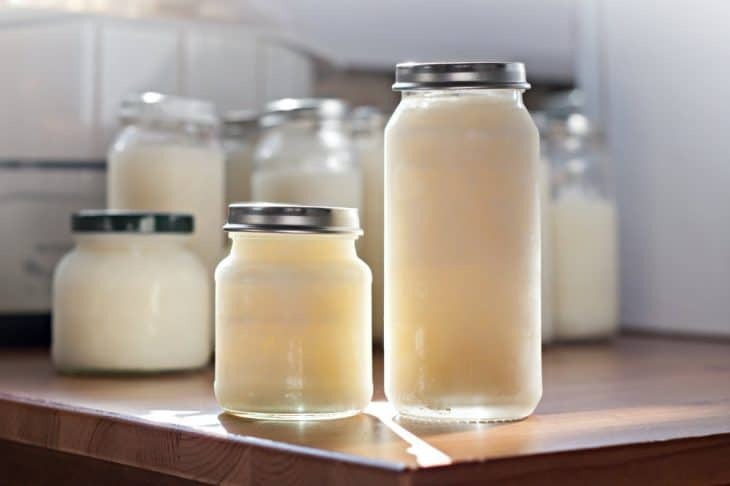 Breast milk may also be used for making yogurt and body products (such as lotions and soaps). When you consider its many benefits, you might want to consider stocking up on milk storage bags. Pinkeye, also known as conjunctivitis, is annoying and uncomfortable. Most of the time it is also harmless. The most important thing to do is wash your hands frequently. You can continue to breastfeed, but if you think you have passed it onto your little one, you should call your medical provider.